Winner of the Pulitzer Prize for History, the definitive biography of Malcolm X. 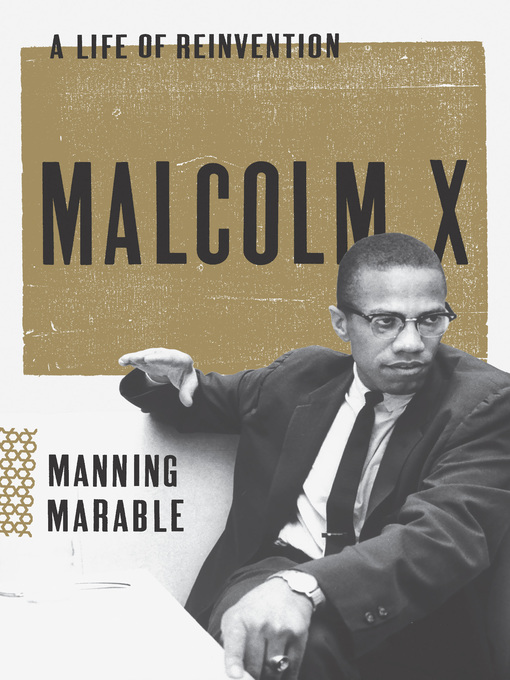 Hailed as "a masterpiece" (San Francisco Chronicle), the late Manning Marable's acclaimed biography of Malcolm X finally does justice to one of the most influential and controversial figures of twentieth-century American history. Filled with startling new information and shocking revelations, Malcolm X unfolds a sweeping story of race and class in America. Reaching into Malcolm's troubled youth, it traces a path from his parents' activism as followers of Marcus Garvey through his own work with the Nation of Islam and rise in the world of black nationalism, and culminates in the never-before-told true story of his assassination. Malcolm X is a stunning achievement, the definitive work on one of our greatest advocates for social change.